8Rental offers vehicle hire with chauffeur in Manchester and Greater Manchester county. We endeavor to ensure a secure transportation at competative rates in Manchester and North West England. Hiring a pretty decently sized chauffeur cars with 8Rental Reservations, unique service is guaranteed! Manchester Airport handles over 20 million passengers every year. Are you one of them? 8Rental's polite driver offers hearty, hospitable reception to all arriving customers at Manchester Airport! 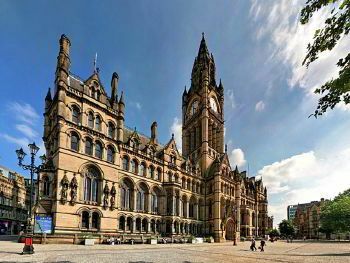 Being a local citizen, chauffeur knows perfectly Manchester’s streets, attractions, restaurants, hotels. Rest assured that carrier will comfy drive your group to the indicated address. 8Rental.com-your first chauffeured vehicle supplier in Greater Manchester! Offer includes: VAT, taxes, toll road fees, vehicle, fuel, driver. Each rental car supplies subtle elegance. You will instantly feel comfortably in smart-looking design vehicle with beautifully styled headlights, well coordinated components, roomy interior, zone climate control. Every 8Rental's carrier holds driving license. Whatever direction your Manchester trip leads, 8Rental's car hire with driver strives to make essential contribution to that. Please feel totally free to contact 8Rental if we can be of further assistance! 8Rental Reservations – your horizons open here! Our fleet in Manchester features up-to-date vehicles. Available is a range of standard cars, executive cars, minivans, limousines and coaches. We look forward to helping you with a car rental with driver in Manchester service so you could visit city's most famous attractions, like Beetham Tower, Civil Justice Centre, One Angel Square, Manchester Town Hall, Midland Hotel and Old Trafford Stadium. Enjoy some local culture at Manchester Art Gallery, Imperial War Museum North or make an educational visit to The Museum of Science and Industry. Wish to hire a standard premium class car with driver? Perfect choice! Standard rental car features: well-built vehicle, interior's made of premium materials, outstanding dynamics, spacious backseat, quite large boot, solid condition. Standard model rental car -Your extremely perfect budget option! Traveling on business? Hire all-new solidly built BMW or prestige Mercedes S Class! Courteous chauffeur will drive you from Manchester Airport to the requested address. Receive affordable cost and book surely your car rental with driver in Manchester! 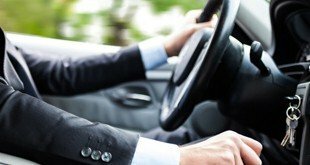 Hire a car with driver in Manchester!